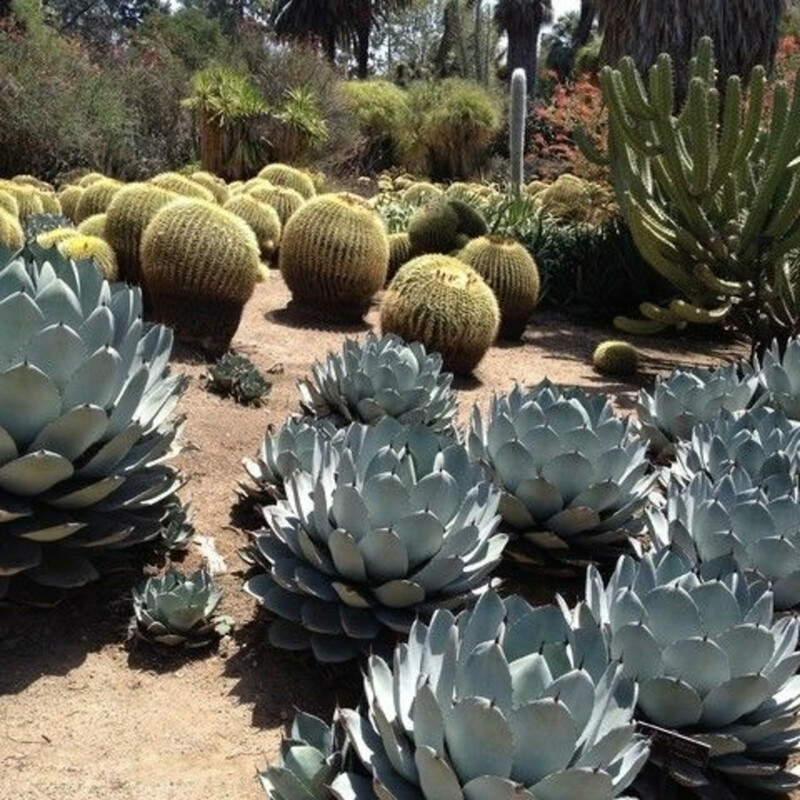 Succulents are a gardener’s dream. They offer something for everyone, from the person who has yet to keep a plant alive to the homeowner looking to minimize a summer watering schedule and the artist who paints with plants. We can definitely get behind a purple plant. 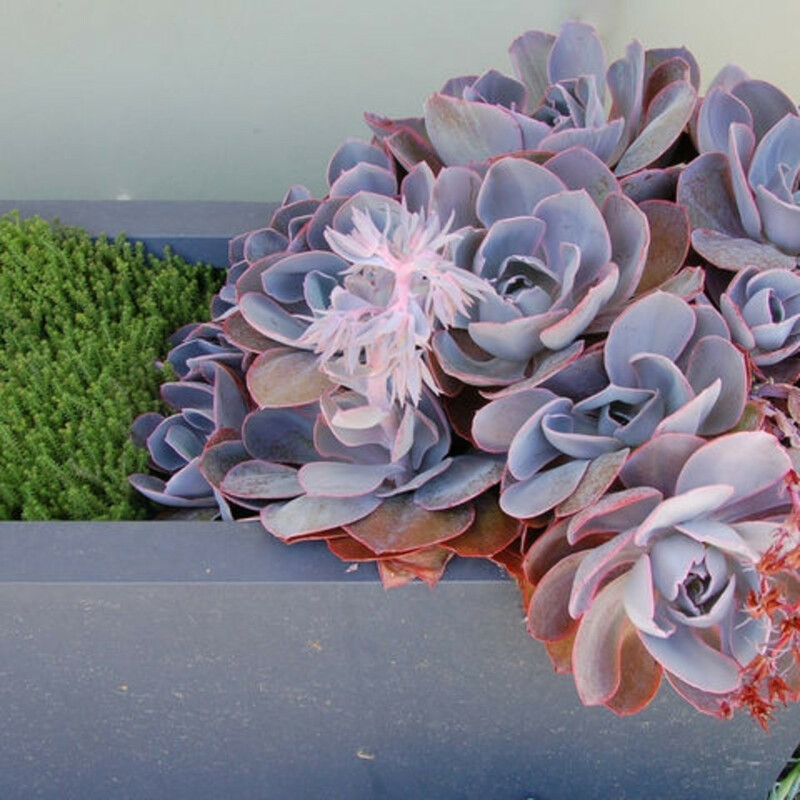 Echeveria offers some of the best landscape color for a garden rich in greens, blues, and grays. You can grow echeveria in the ground or in containers, though it’s not as cold hardy as some others profiled here. Unlike some succulents, echeveria flowers year after year. Provide it with full sun and low water and watch the color parade year after year. 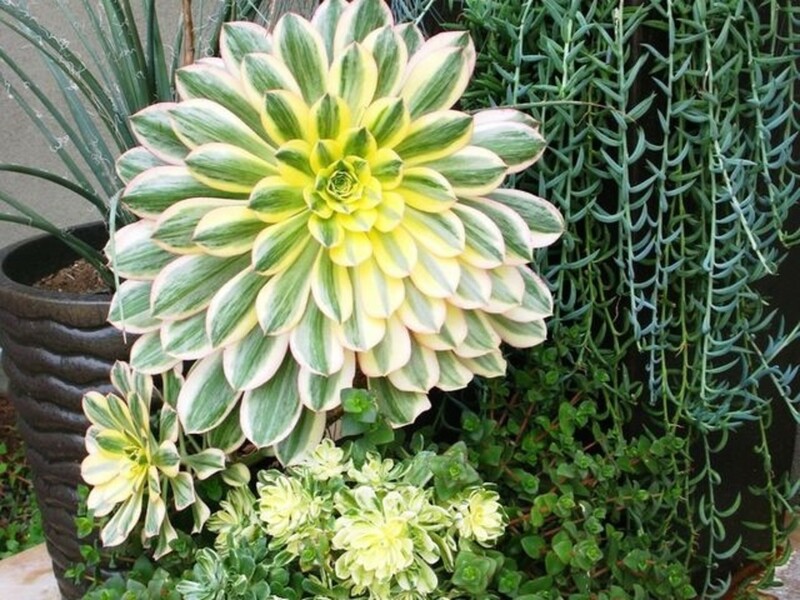 Aeonium is the winner when it comes to aesthetic diversity — with leaves ranging from pure black to colorful variegations, there’s an aeonium for every taste. 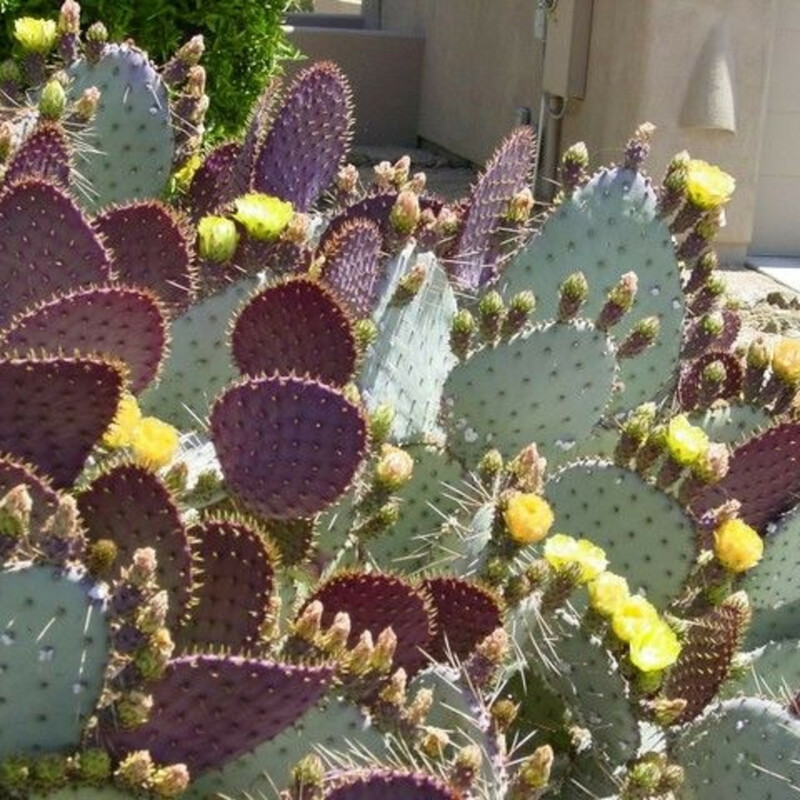 Its rounded leaves create a softer look than some of the other desert natives. Aeoniums are native to the Canary Islands, and what they lack in cold hardiness, they make up for in soil and moisture tolerance. 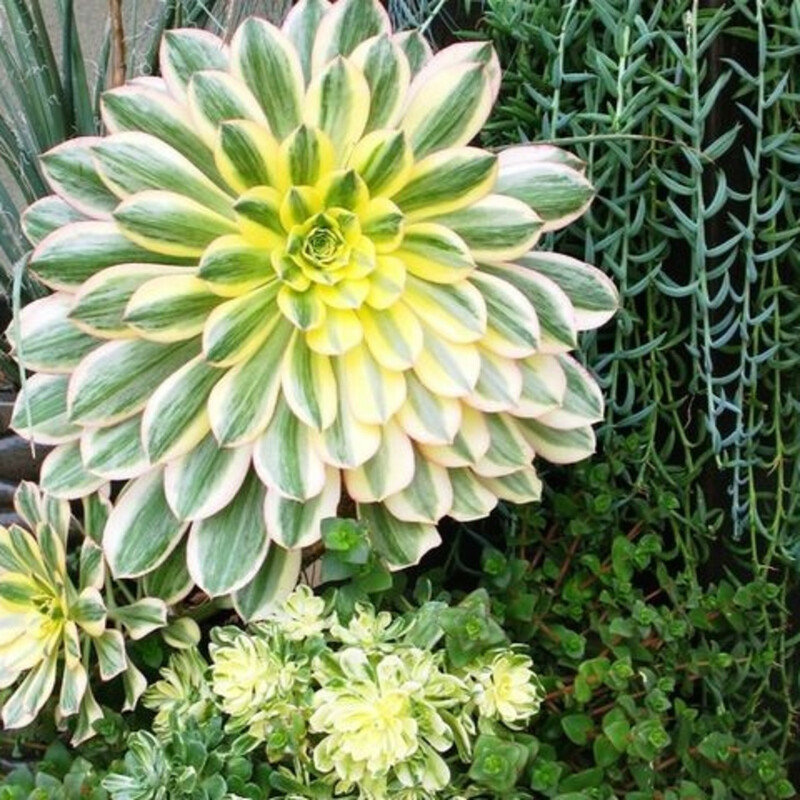 Aeoniums require a little more water than most succulents do, though they are still very drought tolerant. Consider interplanting them with other Mediterranean natives or grasses. 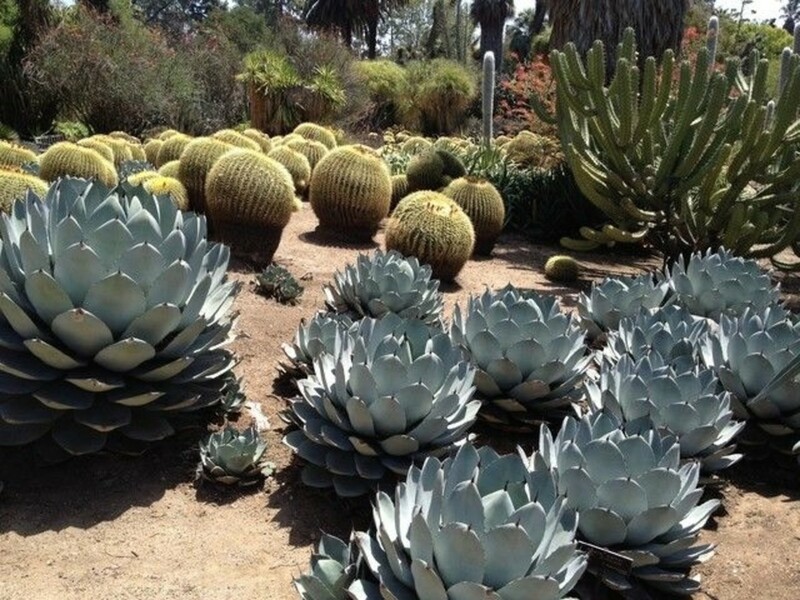 There’s something majestic about Parry’s agave. This plant is a little more statuesque than many of these other plants, measuring around 3 feet tall and wide, but that also means you need only one to make an impact. Hardy to nearly 0 degrees Fahrenheit, this Southwest native can be grown in the ground outdoors where many other succulents must be brought inside over winter. Beware of its spiny ends. 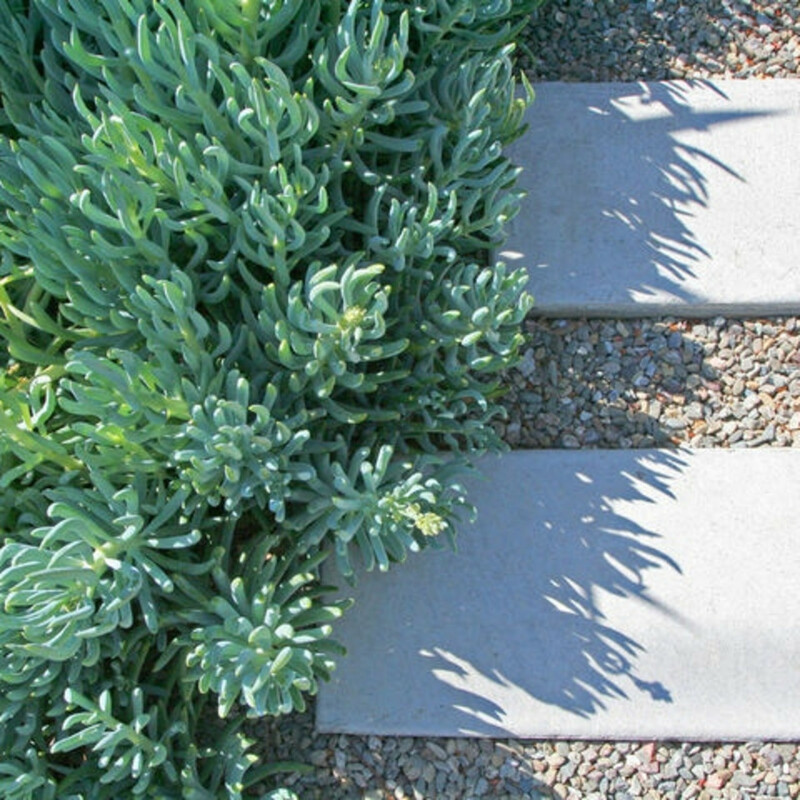 Consider planting this agave away from path edges — but it belongs in the center anyway. 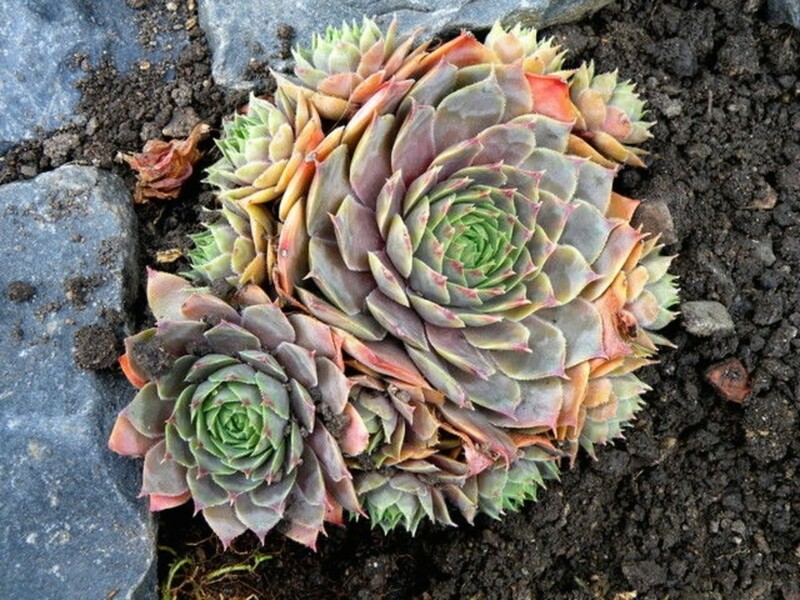 Sempervivum may be the succulent for gardeners in climates with a range of temperatures. This plant, with its tightly packed rosettes, is native to the mountains of Central and Southern Europe and can handle snowy winters and sunny summers. 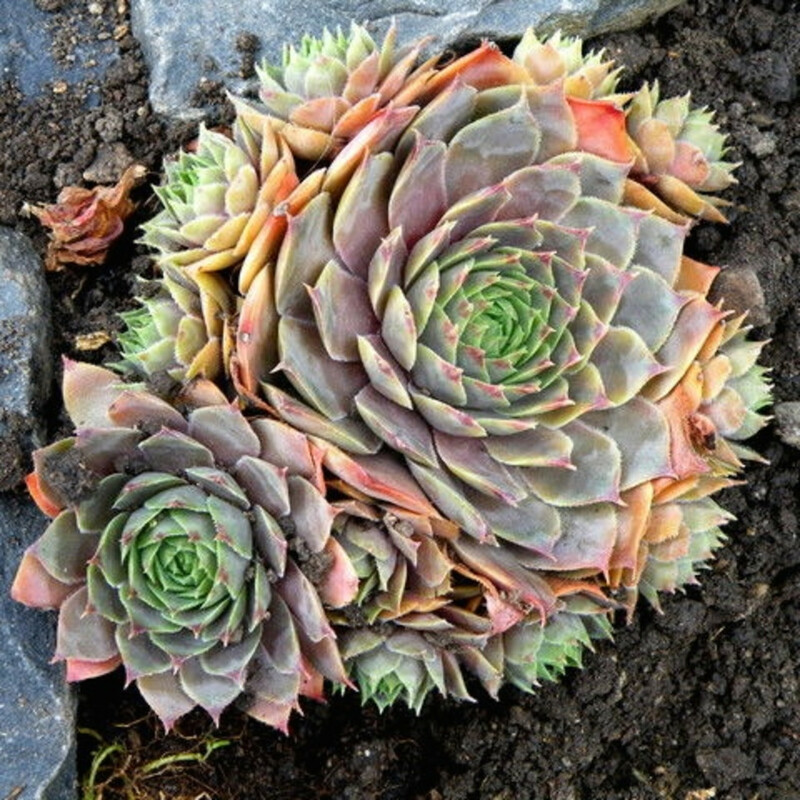 Sempervivum is also monocarpic but produces multiple offsets throughout its life. It grows well in full sun with little water. 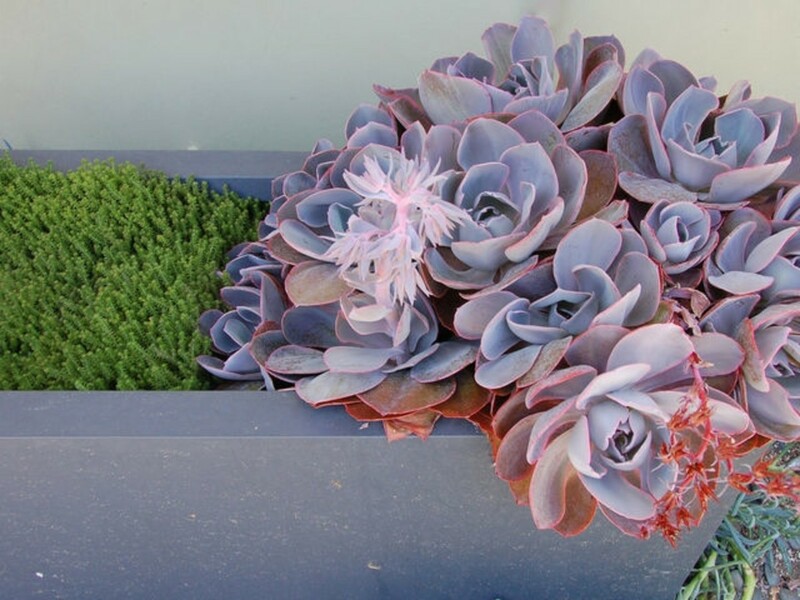 Succulents make wonderful accents and container plants, but when you need to cover more ground quickly, look no further than blue chalk sticks. The vivid blue color of this plant frames specimen or upright varieties, as well as surrounding hardscape. 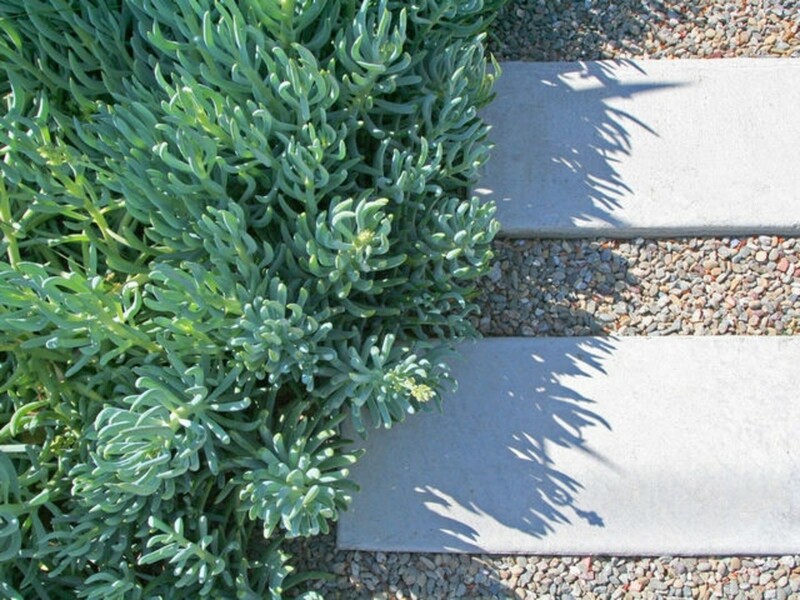 In fire-prone areas, plant blue chalk sticks for a fire-wise landscape. While it's not very cold hardy, it’s tolerant of high winds and coastal conditions. 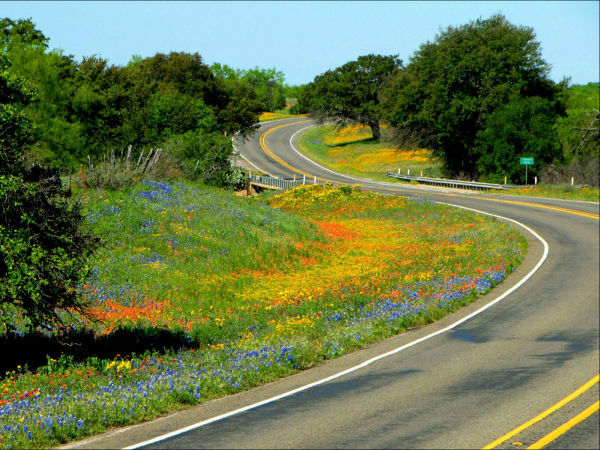 It looks good year-round, even after all the showier plants have finished blooming. 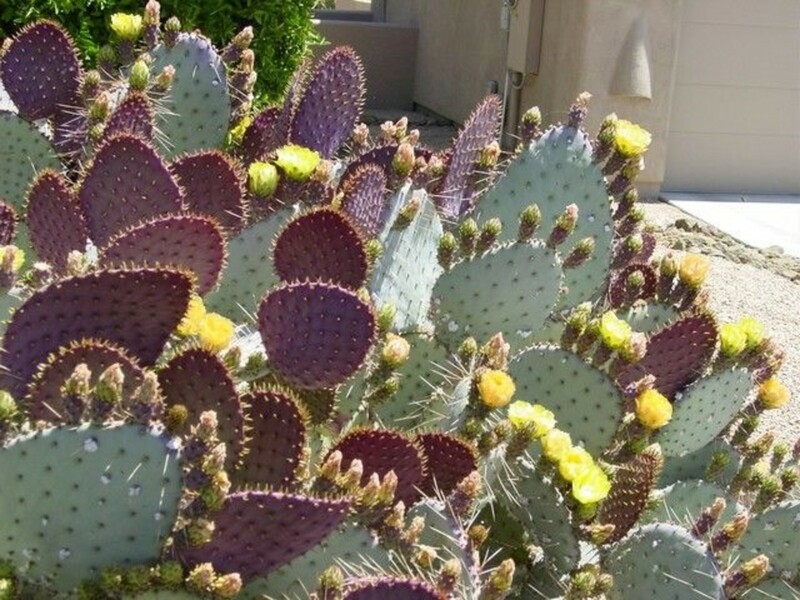 Santa Rita prickly pear offers Southwestern gardeners some of the prettiest landscape color around — from its gray-blue pads that turn purple in winter, to the yellow flowers that appear in spring. 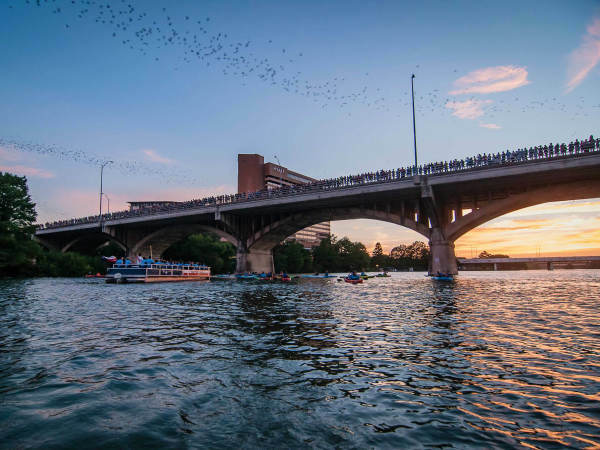 A Southwest and Texas native, Santa Rita tolerates extreme heat and sun, as well as temperatures that dip into the teens. It’s probably best to keep this plant away from garden edges and pathways, but since it can grow up to 5 feet tall and wide, you’d want to provide it with plenty of room anyway.